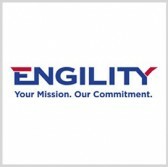 Engility plans to leverage its high performance computing experience in the company’s pursuit of NASA‘s Advanced Computing Services contract. The company said Thursday its HPC team includes computational and supercomputing scientists who have previously helped the National Oceanic and Atmospheric Administration design and procure research and development HPC systems. NASA plans to issue a request for proposals on the Advanced Computing Services program that will consolidate NASA Advanced Supercomputing and NASA Center for Climate Simulation requirements to help accelerate the ACS acqusition process. The resulting NACS requirement will build on the space agency’s mission-driven science and engineering efforts through advanced computing services such as high-end applications, data-intensive computing, collaborative computing and emerging computing paradigms. Lynn Dugle, CEO of Engility and an inductee into Executive Mosaic‘s Wash 100 for 2017, said the company’s computational scientists and HPC personnel aim to help NASA boost its science and engineering capacities. Engility secured a $112 million HPC contract last year to help the Food and Drug Administration build scientific computing architectures.